The SNOW WHITE AUTOWAH (SWAW) circuit is based on a 1991 BJF rack mount remote wah circuit and is tuned like a real wah. The circuit was redesigned with envelope controls and built into small size pedal. It has very fast tracking and accuracy rarely found on auto wahs/ envelope filters. With the four knobs you can have total control of the effect. SWAW works both with guitar and bass and you can fine-tune the pedal to suit your instru-ment, your playing style and your taste of tone. The pedal has a unique decay control for the filter frequency fall speed. You can set it to be fast for wah effects on every note, or slower for a more traditional auto wah sound. 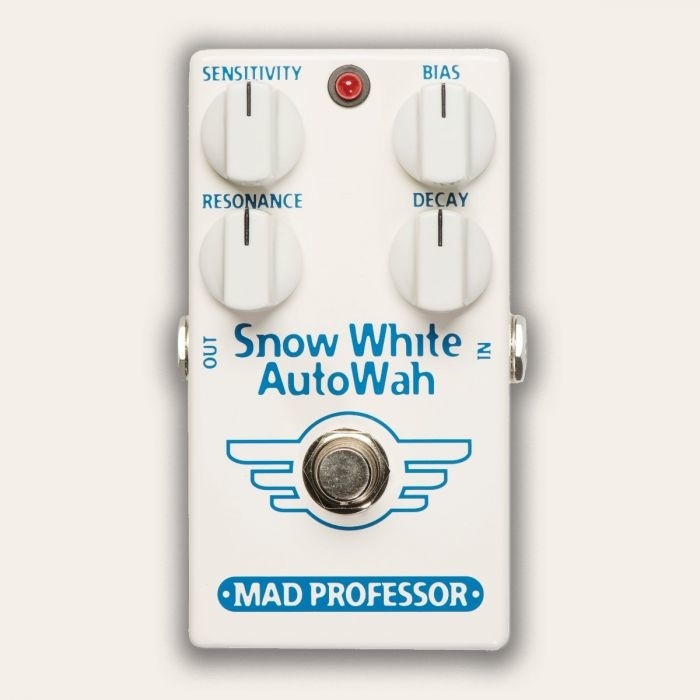 Like all Mad Professor pedals SWAW is hand made in Finland using only premium compo-nents, to give years of trouble free operation with superb musical tone.